With Christmas fast approaching, I’ve been thinking a lot about New Year resolutions. The fact that one of mine ( (I make about 5 resolutions every year) will be fitness or weight loss related. Let’s face it, I won’t be the only one. According to statistics, 14.3 million Brits make a New Year’s resolution to lose weight, while 9.5 million people will resolve to exercise and improve fitness, but most people fall by the wayside before the end of January. This year, I’m trying to take the pressure off and make it more about a change in lifestyle by incorporating a fitness routine before Christmas so by the time the New Year arrives, it’ll be business as usual in the fitness and weigh loss department so there’ll no need for a big adjustment. To accomplish this, I’ve decided to team up with Bootcamp Pilates, a studio that uses the Reformer machine to tone, strengthen and lengthen the body. Bootcamp Pilates have four studios around London (Notting Hill, The City, Fulham and Richmond) with classes taking place in the morning, lunch , evenings and weekends, making them quite flexible to fit easily into daily routines. Also their returning Festive Fitness package which is very popular is exactly the fitness programme I had in mind. It promises to whip anyone into shape just in time for Christmas and beyond. 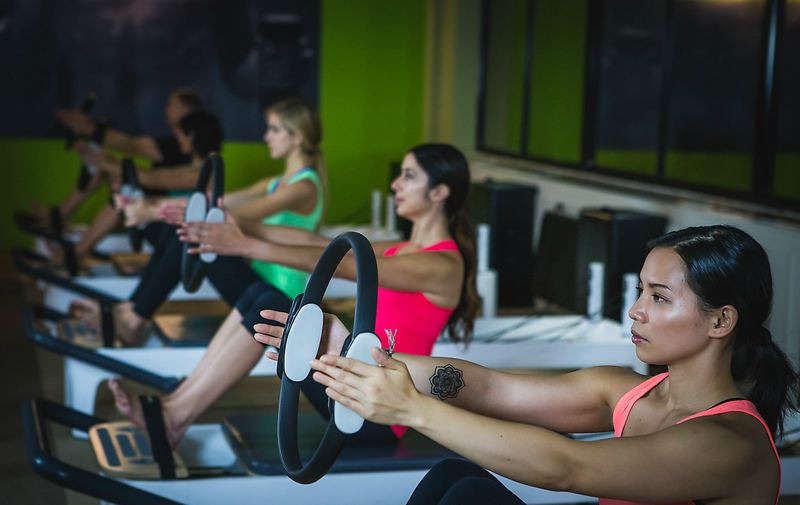 I’ve also always wanted to try reformer Pilates because I’ve heard such great things about its benefits – it’s a fantastic way to lose weight and gain a more aligned, toned body in a matter of weeks. It’s also known to help with back pain, a constant problem for people like me who sit behind computers all day. And let’s face it 24 classes for £240 for the Fitness package, I reckon is one of the more affordable Pilates studios around. Like last year’s Body Reset Diaries, I’ll be keeping a Bootcamp Pilates Diary for those who want to go on this festive journey with me.